The Civil War journals of a Northern abolitionist engaged in the Port Royal Experiment. New Englander William Francis Allen (1830–1889) is mostly known today as the lead editor of the 1867 anthology Slave Songs of the United States, the earliest published collection of African American spirituals, and as a distinguished history professor at the University of Wisconsin. 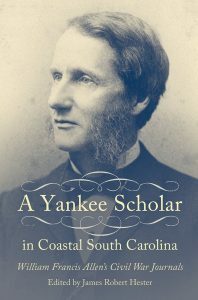 During the Civil War, he served from late 1863 through mid-1864 as a member of the “Gideonite band” of businessmen, missionaries, and teachers who migrated to the South Carolina Sea Islands as part of the Port Royal Experiment. After the war he served as assistant superintendent of schools in Charleston from April through July 1865. Allen kept journals during his assignments in South Carolina in which he recorded events and impressions of about several hundred people, especially ex-slaves, along with fellow Gideonites, Union soldiers and officials, and ex-Confederates. 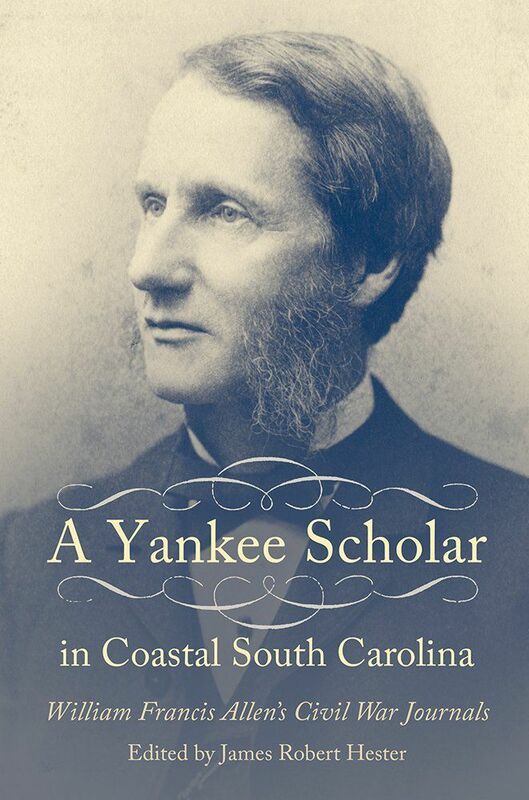 Editor James Robert Hester has transcribed Allen’s journals and fully annotated them to create a significant documentary source of information on Civil War South Carolina. In addition to being a competent amateur musician, Allen was a Harvard-trained historian and philologist and brought his impressive skills to his writing. Later in his life he became an eminent professor of history at the University of Wisconsin. James Robert Hester retired in 2005 from the U.S. Department of Energy Savannah River Site near Aiken, South Carolina, where he started his career as an engineer in 1973. Hester has spent his retirement as a student, first enrolled at Augusta State University, where he earned a bachelor of arts in music in 2010, and currently at Augusta University, where he is majoring in history and specializing in antebellum black music studies. Hester became interested in William Allen’s writings in 2010 while writing a thesis on slave songs of Augusta. Please join us for an afternoon with Robert Hester, who will discuss his book and the fascinating life of William Francis Allen.